As a parent I am familiar with the challenges around getting children to understand what money is. It is even more difficult as we become a cashless society. It is so easy to tap the plastic (or your phone with a virtual wallet) and not even know how much you paid. The new generation born after the year 2000 are referred to as the “Invisible Money Generation” as they have been born into a world where they will rarely handle money in their lifetime. It refers to children and teenagers for whom money is rarely seen in physical form and that their exposure to online payment methods and digital forms of money is often dramatically more than their experience with banknotes. For most of us, our first memories of money are of collecting small change, and witnessing our parents using cash to make everyday purchases. Do you remember the 20 cent bag of mixed sweets that was sold at the school tuckshop (or am I showing my age)? This experience, however, is no longer common – the game has changed, and money has become invisible. How can we teach our children that money doesn’t grow on trees, when the trees have become digital? Below I have three tips for passing on financial knowledge and valuable habits to the younger generation. 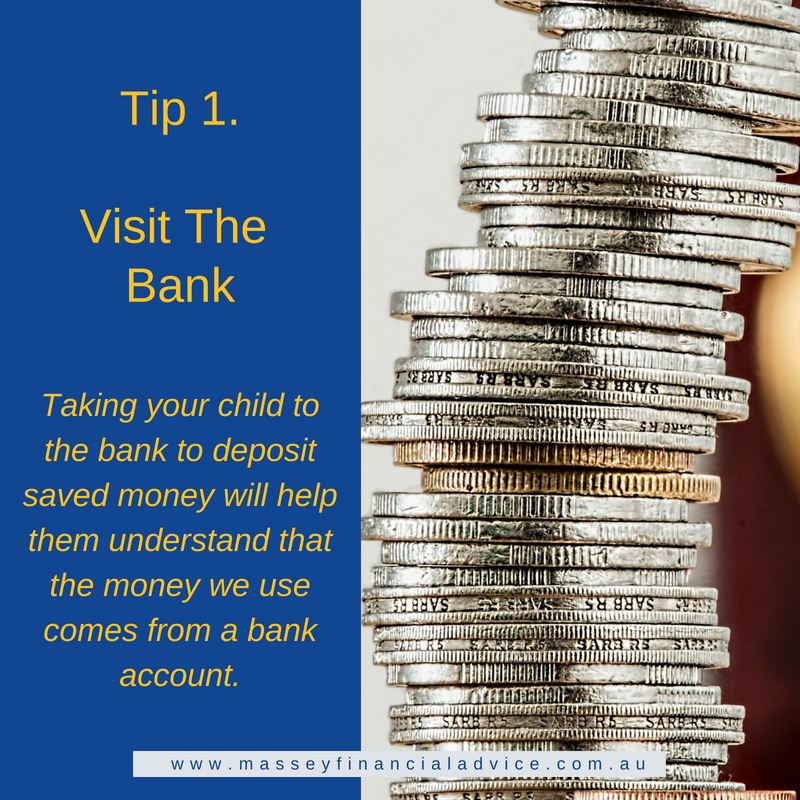 Taking your child to the bank to deposit saved money will help them understand that the money we use comes from your bank account. Count the money at home before you go to the bank and then show your child how the money they have deposited has grown their account balance. You can talk about how the amount you deposited is now the same amount emerging in your bank account and is now transformed into a digital form. You can also explain that the money is in your bank account as a result of hard work, and if money is taken out, there will be less in the bank account. 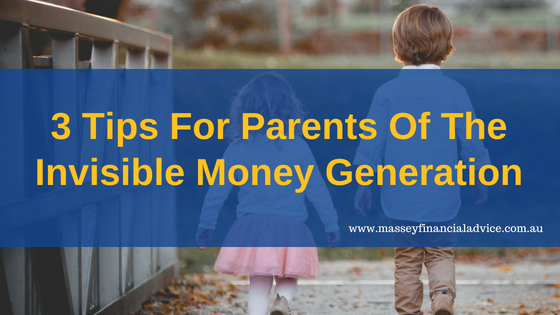 Involving your kids in discussions about the family budget is another way you can teach your children about money. 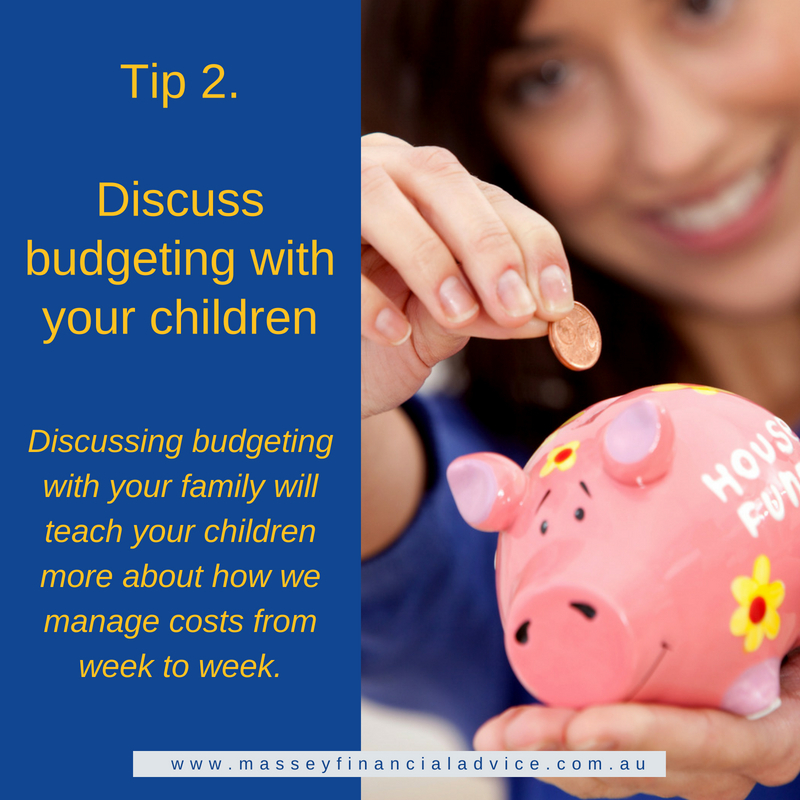 Discussing the family budget with them will teach your children more about how to manage costs from week to week. This helps give them the bigger picture about costs and the value of wise spending. What you want them to learn is that they have the power to direct where their money goes, whatever the source. They will also learn that choices they make now impact the future. It is also useful to give children an idea of what different things cost and relate them to each other. For example, a milkshake at a café is $7, pancakes are$14 so they could have 2 milkshakes for the same cost as the pancakes. 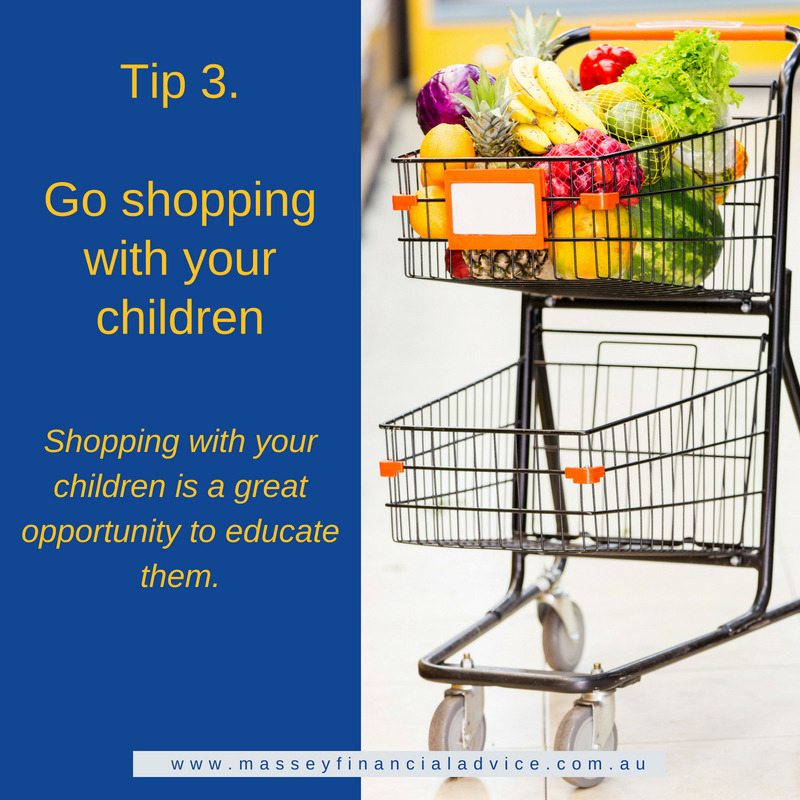 Shopping with your children is a great opportunity to educate them on how product prices differ, and engage them in helping you to ‘shop around’ and pick the best price. When you are paying with your debit or credit card, you can put into words what is happening when you are holding your payment card next to the eftpos card terminal. Explain that this action indicates that the money is now transferring from your bank account to the store’s bank account to pay for the grocery shop. Ultimately, to challenge the idea of ‘invisible money,’ parents will need to have an ongoing conversation with their children, as they grow to understand more about the world around them and work toward their own goals. Each of these conversations have the potential to positively impact your children and help them to form valuable habits, well before they have started a part time job or finished high school. Brilliant, thanks Cathie. I think it is important to have some exposure to money and understand it’s value to set children up for success later in life. Well done.